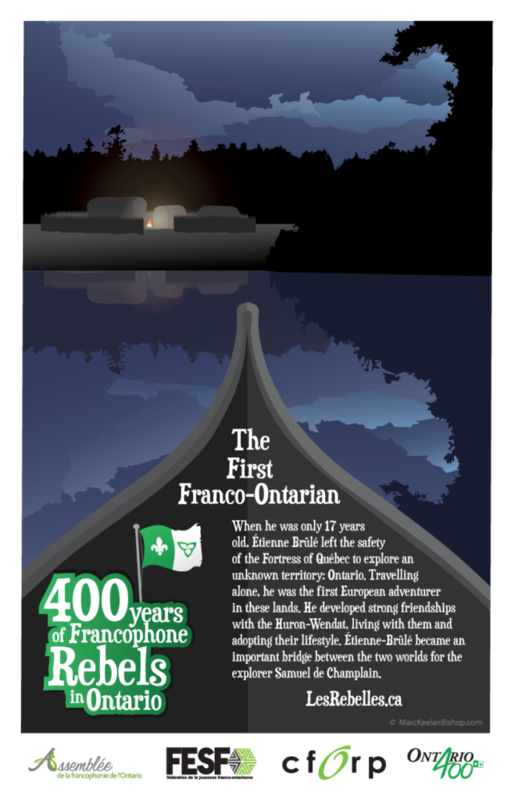 When he was only 17 years old, Étienne Brûlé left the safety of the Fortress of Québec to explore an unknown territory: Ontario. Travelling alone, he was the first European adventurer in these lands. He developed strong friendships with the Huron-Wendat, living with them and adopting their lifestyle. Étienne-Brûlé became an important bridge between the two worlds for the explorer Samuel de Champlain.